This week’s instalment of the #SBIDinspire series features Atelier PRO Architekten, 2015 entry from the Healthcare category in the SBID Awards. 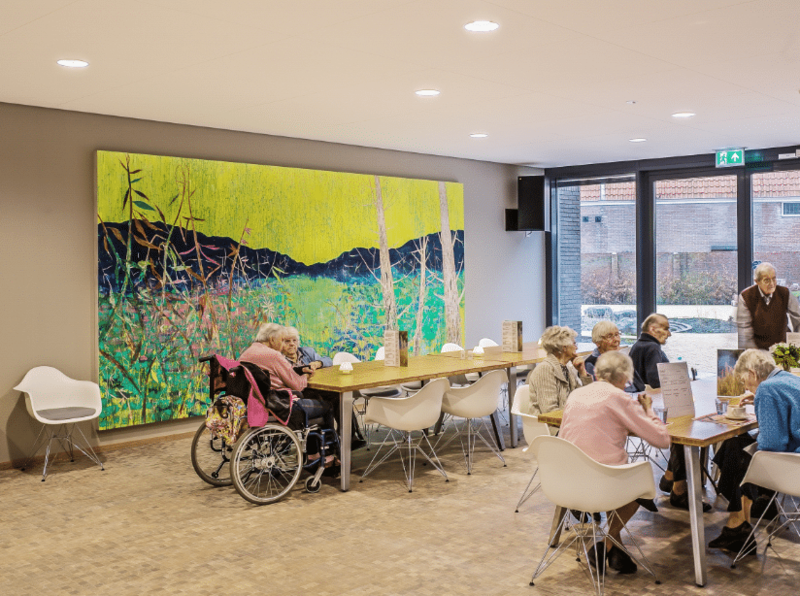 Atelier PRO Architekten are behind the innovative Willibrord Nursing Home project in Middelburg, Netherlands. 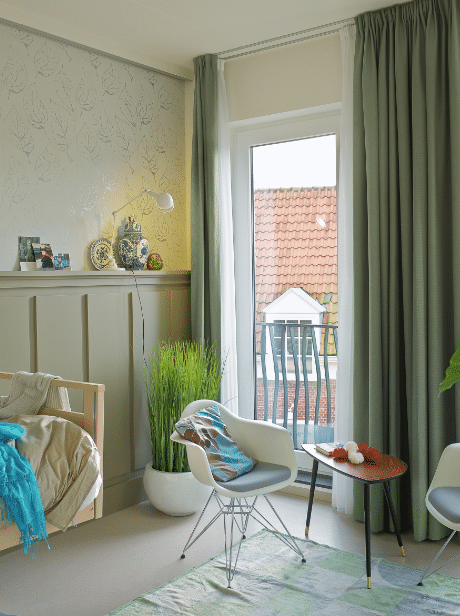 Created with care, the interior design has a modern-classic aesthetic with many references to the comforts of ‘home’. SBID had the opportunity to speak with Dorte Kristensen, Lead Architect at Atelier PRO Architekten. To design the project interior of an assisted living facility for senior citizens who prefer urban living, close to the city centre with retail facilities. The project design comprises of the central plaza, communal living rooms, grouped apartments, and private apartments. The building was designed by the Eindhoven-based practice Van Aken Architecten. 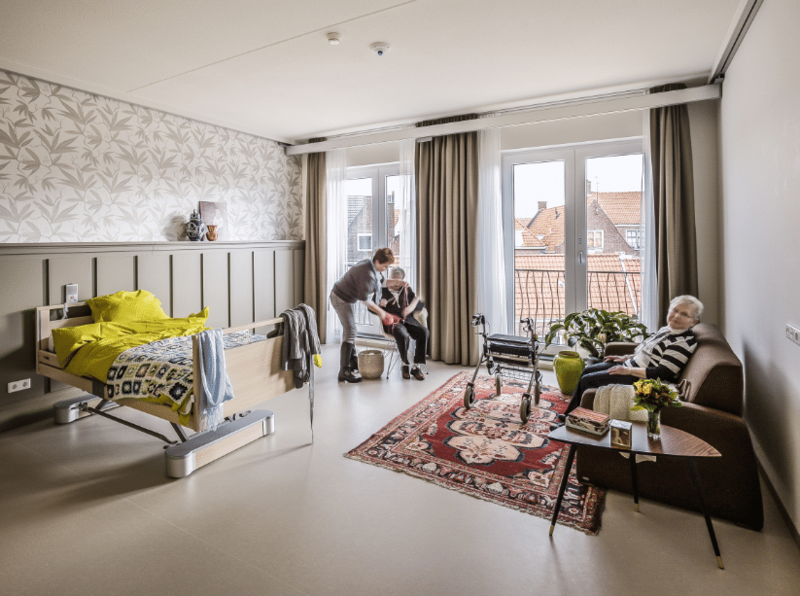 The design of the project was based on the idea of ‘the search of normality’ as well as the awareness that housing for assisted living is not just meant for the elderly but also for the loved ones and the grandchildren who come to visit them. Therefore the interior space should be a fresh environment offering convenience and also a well-balanced work environment for the staff at the same time. The toughest hurdle, beside the financial resources (budget is always an issue) was the matter of suitable furniture. Furniture for this target group (the elderly ) usually has an ‘ institutional character’. 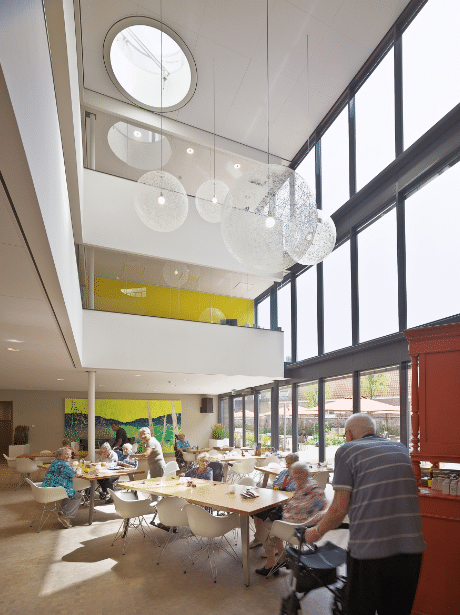 In order to create the atmosphere of ‘ normality’ we wanted to use furniture with a ‘non-institutional’ aesthetic, while still maintaining the quality and specific standards required for the elderly. The highlight of the project was offering solutions in detailed elements with great impact. In our design we made use of our knowledge of dementia; the condition whereby some of your senses do not function properly anymore. In the case of the memory loss, there is always another sense that can be stimulated with the use of design. 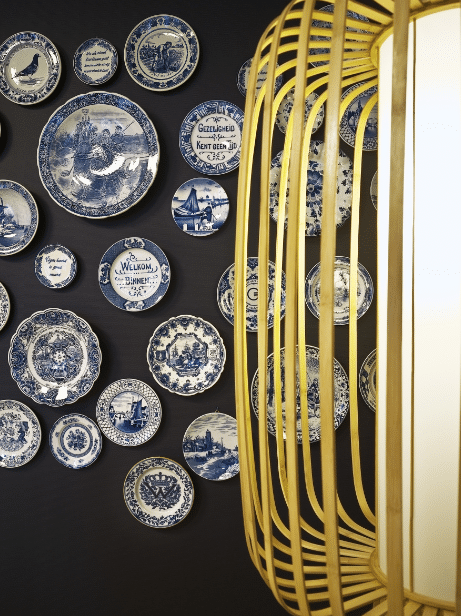 With this in mind we added elements that trigger the sense of touch to create a stimulating environment for the users. We pursue the SBID International Award because SBID is a reputable and appropriate platform to expose innovative designs. And all good ideas should be shared! In the past we have won an SBID award for Meander Medical Center and winning proved to generate a lot of recognition in the design field, especially within the cure and care industry. So it helped in our design exposure. Questions answered by Dorte Kristensen, Lead Architect at Atelier PRO Architekten.